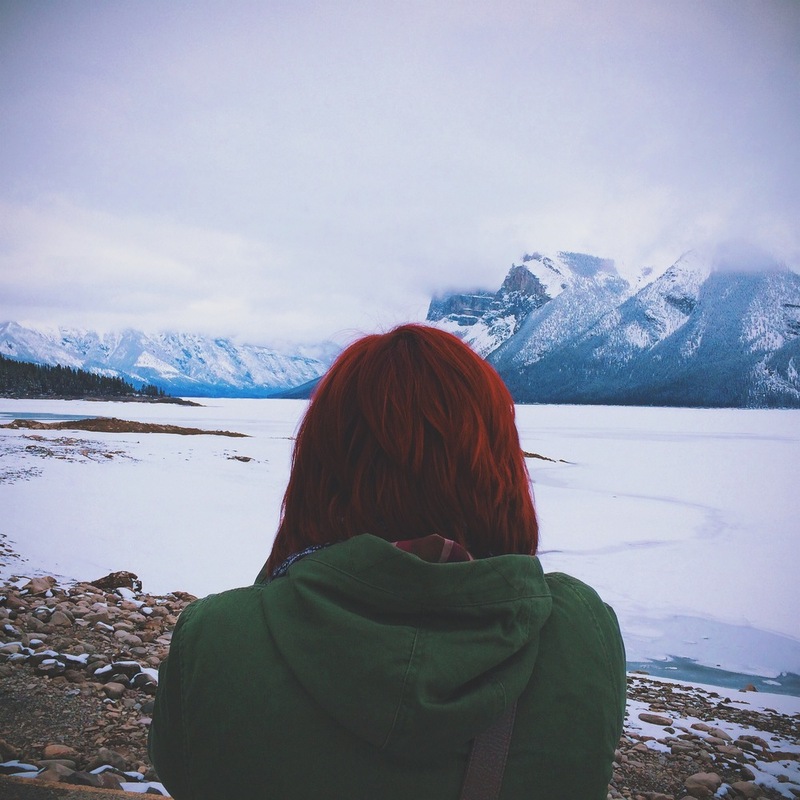 The very first Socality Live took place May 2-4, 2014 in Calgary, Alberta. Below we have shared some stories of moments that took place in the lives of those who attended Socality Live. If you have a story we would love to hear from you so we can share it! Send it along with some photos to events@socality.org and subject it Socality Live stories. "I jumped in a van with friends i'd made on instagram through socality, but had never met in person, & joined up with another vehicle of instagram friends who i'd also never met in person yet... in all there were 10 of us. We had the adventure of a lifetime. the memories made on the roadtrip to Canada are definitely special treasures I'll keep forever. On my favorite day of Socality Live, we got to explore Canada. the particular bus I was on was being driven by a kind man named Greg. He took extra time to drive us to a spot where we could see elk, and then to another spot where we could see mountain goats. after we'd returned home from Socality Live, I got an Instagram comment from him on one of my pics of his bus, saying he joined insta just so he could see everyone's pics that we'd said we'd hashtag with #gregsbus. It was so humbling to get to impact a bus driver in that way! Catherine, here, experienced her first snow. The child-like joy I got to witness as she played in the snow was such a treat. Add to it that we met on Instagram through Socality & didn't meet til we were headin' to Socality Live together with a group of a friends, & you can see why this friendship is a fun one. I'm so glad Socality has connected me to some of the most wonderful people, like Catherine." 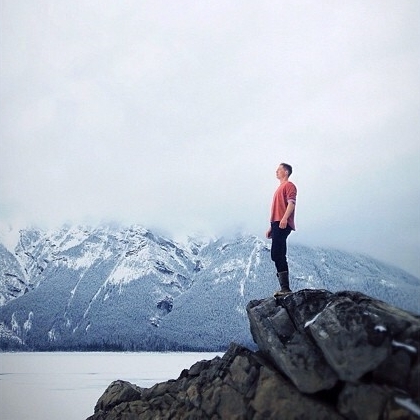 "My experience at Socality Live was so inspiring. My name is Shari. I was one of the older ones at Socality Live. I am one year away from 50. I was staggered by the authentic love that permeated the event. They said that even enemies are welcome at Socality Live. Everyone was welcome. I was deeply touched in my heart by how the younger generation embraced me and shared their hearts. I also had so much fun on #gregsbus when we went on our day long photo shoot. I was the oldest on our bus and it was amazing to have the younger generation teach me how to stage shots and capture moments. Wow, you guys are radical and so much fun. You will do just about anything for the right shot . . . lay in wet snow, hang out of trees and go waist deep in snow. Thank you to the girls that taught me how to frame a shot like this one. Also a special thanks to @pk_rockstar for doing this back flip for me a second time when I was unable to capture a good shot the first time around. He is very brave given that the ice had to be picked off the rocks before he did his practice flip. So Socality, I thank you for embracing my generation and moving in a culture of honor. I have learned from you. I love you guys!!!!" "Socality Live changed my life through this community. Being able to connect immediately over common ground with new people from all over the world has shown me how we can truly reach other even though miles are in between. The friends made this weekend will be friends for life. " "The best thing about our backyard is how many people have never truly experienced the mountains or a Canadian winter. Seeing everyone faces light up as soon as we hit the snow covered peaks brought me so much joy. I can't wait for others to show me their backyard." "Socality Live was a weekend event full of speakers in different forms of media, powerful worship and amazing times of adventure, fellowship and connections with new friends from around the world! One of my favorite things from the weekend was hearing Sam Picken, a pastor from C3 Toronto speak from his heart about love, community and vulnerability. I learned this past weekend to take a big step out of my comfort zone, and take a step in to God's growing zone. Going to a new country without knowing anyone had me a bit nervous, but I learned that putting myself in new and vulnerable situations, means putting myself in a position for God to work in me. 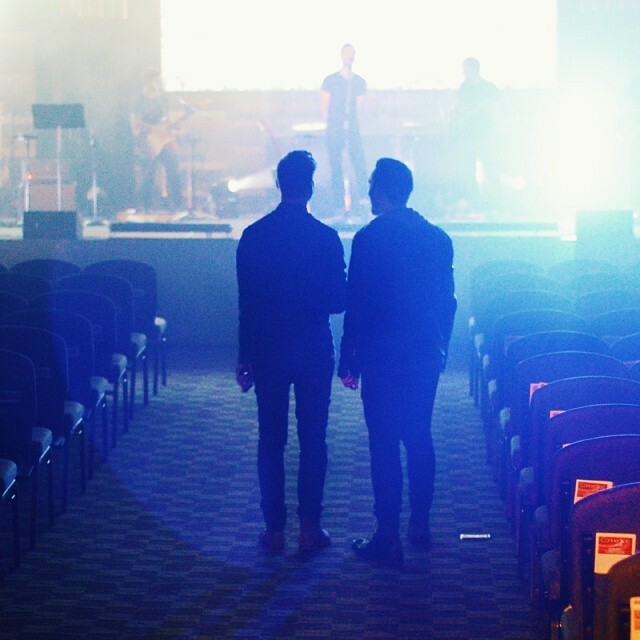 God used new people and a new place to inspire me, which is an incredible feeling. Another great time was wandering around downtown Calgary on Saturday with a few of my new friends, looking for a roof to shoot on. We tried hotel after hotel, door after door, and we never got on a roof. Regardless of that, I got to share a goofy, adventurous time getting covered in snow with some incredible people. We ended our not so successful search with an even more successful dinner of delicious pizza and quality fellowship." What an incredible weekend. I have no words and translating my feels is a bit difficult right now. Thank you @Socality for assuring me that I'm not alone, that there is a community of world-changers and Christ followers who see you and hear you and are calling you to reach higher and grow deeper. It's been real, Calgary. Watch out, California. I'm coming home. This has been a weekend full of blessings, encouragement, inspiration, challenges, and community. I have loved every moment of fellowship and connection I was a part of this weekend. I can't believe how many amazing people I have met in these three days and how deeply I have connected with some people in just the matter of a day or two. I am so excited to see these friendships grow and to see these people again in the future. We are socality. I am beyond grateful and humbled for this weekend in Canada! It was nothing short of a complete God movement in my life and without Him this wouldn't be possible. I met so many incredible people with radical hearts for The Lord. Cannot wait to see what's next. For His glory and by His grace. I am Socality. We are Socality! At an event that has allowed me to actually connect with people from social media, through social media, with social media. So social. From the first night of @socality! I'll never forget the life changing experience that weekend. Last day in Canada tomorrow in the mountains! Socality has been inspiring and fun with some of the friendliest people I have ever met. It has been real Calgary! After well over 80 hours in the car over the past several days, we are all home! I'm am so thankful for these three friends that I made the journey with and wouldn't have changed a minute of it. None of us will forget this experience. This past weekend has been quite a memorable one. I'm blown away by the people who volunteer their time, making this community happen and everyone who is a part of it! Some even drove 40+ hours from across the border, others flying in from Finland, New Zealand.. all because we believe in this community and what it stands for. Just incredible! I was also able to meet some people in person whom I've been connecting with through @instagram and @socality. Amazing influencers! It's crazy what lengths God can take you to when you put yourself out there, believing in an idea that would impact millions! This is #socality. Pumped to hear and see the life changing stories beyond this weekend. Only greater things are going to happen! Thanks @scottcbakken and the rest of the team behind this movement for making this event happen! The past three days have been nothing short of amazing. I was able to take a pause from the external things in my life and just focus on myself. Because as much as @socality is about connecting with others, I believe it is about connecting with yourself first. Once you are able to reach inside your soul, listening, understanding and believing to what's in your own heart, then that's when you can genuinely connect with other people. "I think it's hard for me to put the Socality Live weekend experience in a few short words. I'm not sure if words really do it justice. When our last goodbyes were said, and everything was taken down, I was left with a feeling of fullness that's difficult to explain. There were lots of good things that happened over the course of the weekend, but what mattered most was that we were together. There's something special about connecting with people of like minds and like hearts. People who ooze creativity and love. I'll never forget our new friend Luke and his tattered American flag named Dan. I'll never forget the great conversations I had on the bus with Emily from Indiana while bonding over our mutual love for Ellie Goulding. I'll never forget Elizabeth from New Zealand, her smile, and her grateful heart. I could go on and on, but perhaps what I'll remember most was how it brought people from all over our city, Calgary, together. I've gained some amazing new friends right in my own backyard. Yes, there are incredible people half-way across the globe, but there are incredible people right here too. I'm so thankful to have met each and every one of you, to work next to you, and to dream alongside. Here's to togetherness. If Socality has taught me one thing, it's that wherever you and I are, near or far, we are together. And that, is quite something." "I felt so lost, without anyone in my life. I was alienated from everyone I knew, and felt so alone. I sat in my room praying to God. "Give me someone, something, anyone to be with me." Minutes later I found about Socality via the hashtag, and did some research into it. I found out that Scott was on my Facebook friends list, and I messaged him, and he told me to come out. Socality was the answer to my prayers. I needed Socality." "This past weekend I had the opportunity of hosting several friends from different cities from around Canada. These people are hungry for community. It’s not that they don’t have any community, but they are desiring a more intimate one. Apart of me coming into the weekend was a little bit skeptical of a bunch of INCREDIBLE people coming from all over the world and it being just like another church conference where people are just trying to prove that they’re legit, hip … and in this case how many followers they got on Instagram. This weekend I experienced/saw the complete opposite. There was nothing but genuine/vulnerable/honest relationships being built. It’s easy to pretend in our society/culture, but Socality brought the best out of people and that is unique and powerful. I experienced the best of relationship and made genuine connection with people, which we are excited to develop these relationships over the next 50 years. The friends I hosted can’t stop talking about the weekend. We all agree that it was an amazing journey getting to Socality, but now the greatest aspect of the weekend is we get to now go on a journey with all our new friends for the rest of our lives. This is a gift that is worth more then a $65 registration and some gas money. This is priceless, because lets be honest, making new genuine relationships aren’t as easy as we would like them to be, whether that's because of our insecurities or some other reason. This weekend’s storyboard is just beginning. Thank you Socality for this gift." First, I want to personally thank everyone that attended the very first Socality Live!!! The sacrifices made embodied the exact spirit behind this movement that reflects the heartbeat of Socality. Shoving people into cars, booking flights, getting passport and traveling from far places including many flight connections and long hours in cars. All of this because you wanted to come discover this community face to face, building lasting relationships and be a part of something bigger than yourself. Words can't really describe the experience that took place at Socality Live. The stories that have been coming in since the event finished are extremely encouraging and inspiring. Socality Live presented us all with a unique experience, a convergence of people gathered together to connect for purpose, discover each other and capture all of these moments, sharing them with the world. The Mountain Excursion brought together this community for one day exploration of the majestic Rocky Mountains in Banff, Alberta, Canada. To think that we had 5 buses full of people who were before strangers, but now family experiencing community in the beauty of God's creation is really a highlight of the weekend. These memories will forever be sealed in our hearts. I am still hearing amazing things about Greg's bus!! Our sessions were filled with inspiration all about being connected for purpose and developing true community! Sam Picken presented us with such incredible insight towards community and has left a lasting impression on us all! A huge thank you to our guests Tim Landis, Dirk Dallas, Paul Tellefsen, Brenton Little and Seth Flood who were incredible with their knowledge of media, arts and leadership. As well to those who contributed in our sessions from Mike Payne, Sam Picken and Phil Leclerc, we have only received amazing feedback from the wealth of knowledge that was shared. Thank you!! I would also like to thank our sponsors who contributed to the event; SAXX underwear, Casetegram, Canon Image Square and Hotel Arts. Also, a huge shout out to Crave Cupcakes for throwing a massive birthday party for everyone Saturday night!! I am glad they could give us all a taste of Calgary! The red velvet is out of control! Finally, to the team who spent months planning the event and worked around the clock to bring every little detail together. Your efforts paid off and left a lasting impression on us all!! You are truly incredible! Socality Live was just a touch point, a moment in time designed to bring us all together, but this is only the beginning!! There is so much more in store and LOTS to be done! One theme through the weekend was that we are connected for purpose and the potential in what we can do collectively as a community is great!! We are already working hard towards planning the next event and rolling out even more plans for how we can impact as a community. As much as Socality is global, it has to be local and make sense on the ground, right where you are at. Stay tuned for more as we continue to map out next steps! OK everyone. The future is big and there is an amazing opportunity at hand for all of us!! Stay connected and let's press in to what is in store for Socality! The movement has begun.....and it is NOT stopping!